As the primary wireless provider for the U.S. Department of Veterans Affairs (VA), T-Mobile is deploying 70,000 lines of wireless service to the nation’s largest integrated health care system, making health care providers accessible from virtually anywhere. T-Mobile is providing 70,000 lines of wireless service to the U.S. Department of Veterans Affairs (VA) to help make telehealth services more accessible to veterans. Many veterans drive 25-50 miles for health care visits. Through this deal, VA – the nation’s largest integrated health care system – is making health care providers more accessible from virtually anywhere. 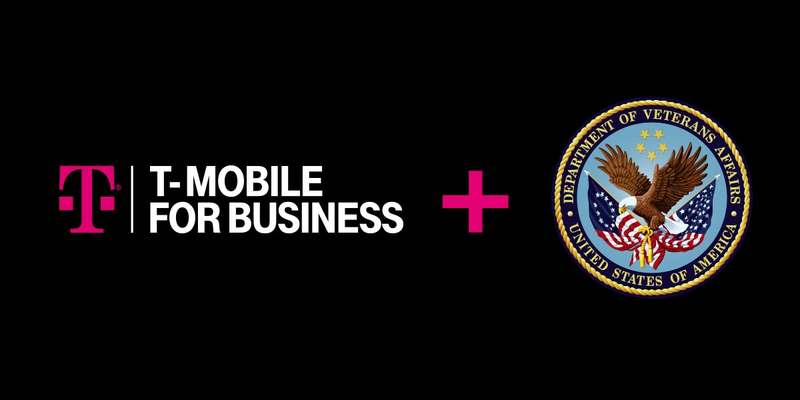 VA joins a growing roster of businesses and government organizations turning to T-Mobile for Business. This deal is for all the hardworking health care providers and support staff across all VA hospitals, clinics and outpatient facilities and the veterans they serve. T-Mobile for Business is for any business or government organization looking for better value. Washington, D.C. — December 10, 2018 — The U.S. Department of Veterans Affairs (VA) is partnering with T-Mobile (NASDAQ: TMUS) to help expand veterans’ access to health care. Because veterans drive an average of 25 to 50 miles for health care visits today, VA, which operates the largest integrated health care system in the country, is working to make health care providers more accessible to patients with telehealth services and the expansion of its network of Community-Based Outpatient Clinics (CBOCs) across the country. As the primary wireless provider for VA, T-Mobile will provide 70,000 lines of wireless service to VA doctors, nurses, social workers, crisis hotline staff and more, across all VA hospitals, clinics and other outpatient facilities. During congestion, T-Mobile customers using >50GB/mo & Metro by T-Mobile customers using >35GB/mo may notice reduced speeds due to prioritization. T-Mobile ONE Military: Submit U.S. military verification within 45 days at t-mobile.com/military/verification otherwise your plan will become T-Mobile ONE at an additional cost. Military individual must be account holder & account must maintain valid military line.